Preventative dentistry consists of many facets including brushing, flossing, using fluorides, good oral habits, orthodontics, proper diet, sealants and sports safety. Disease in the mouth can endanger the rest of the body. 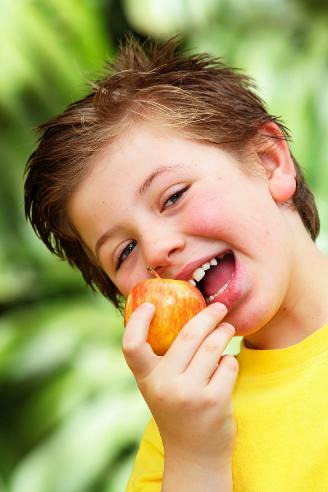 Healthy mouths chew better and gain more nutrients from the food. Preventive dentistry means less extensive, less expensive treatment for your child, and more importantly, a healthy smile. When your child gets their first tooth, preventive dentistry should start. You should begin by brushing and flossing you child's teeth twice daily to establish good oral hygiene habits. The first dental visit should happen around the age of three unless there are concerns prior to that age. Q: Can dental problems be prevented by a dentist? Your dentist can apply sealants to protect your child from tooth decay. Sealants are applied after the six year and twelve year molars erupt. He can also help you select a mouth guard to prevent sports injuries and early diagnosis of orthodontic problems. Tooth cleaning and polishing with fluoride treatments are all part of your child’s prevention program.